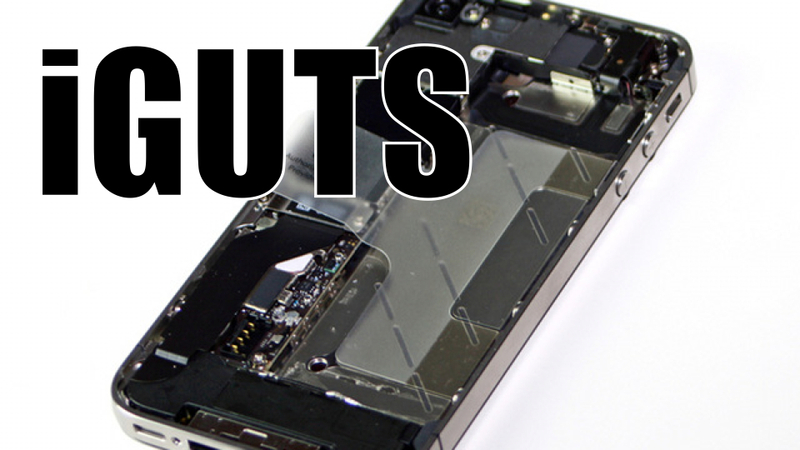 The gadget nuts at iFixit got their hands on a brand new iPhone 4S and spent the day tearing it down. The results confirmed what we'd been hearing about the iPhone's innards, including that it only has 512MB of RAM. So what's inside this baby? Well it's mostly an iPhone 4. The biggest difference is the A5 1GHz dual-core processor. iFixit used the printed part numbers on the processor to determine that the iPhone 4S has 512MB of RAM, and not 1GB of RAM as some had expected. The phone also carries an upgraded battery. Given Apple's claims about the improvements in battery performance the iFixit crew say the battery alone can't be wholly responsible — the phone must be more efficient all around. Finally, iFixit got us up close and personal with the iPhone 4S' 8MP camera.